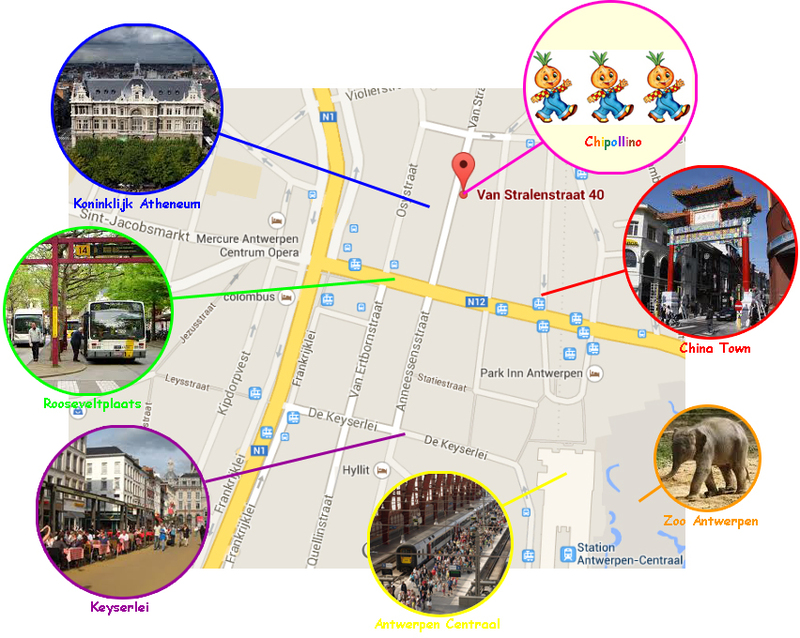 Chipollino is very centrally located in Antwerp near the Franklin Rooseveltplaats. Only a 7 minutes walk to Antwerp Central Station. Easy to reach by public transportation, by freight bicycle and by car. Open a larger map by Google Maps with the location of Creche Chipollino.